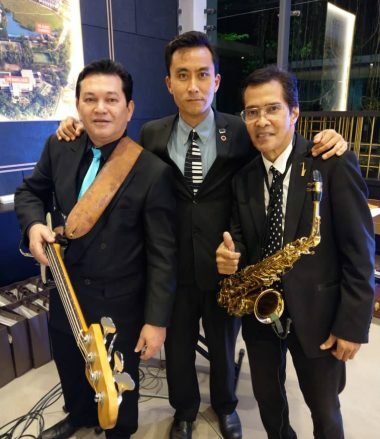 Jazz live band is simply the perfect option for any private events, be it a wedding dinner, a fine dinner or a great corporate event. A set of 3 to 6 musicians are ready to entertain you and your audiences with big band jazz, contemporary jazz, Latin jazz and more. But that’s not it, music is only a part of our entertainment, as our musicians are also expert entertainers that will take out a smile of the audience in between sets. Looking for local Jazz Band? MDT Music covers all the Jazz styles that you’re looking for, adapting to the ambiance of your event. With years of experience, high artistic skills, and a wide repertory, we strive to provide an unforgettable experience for your event. 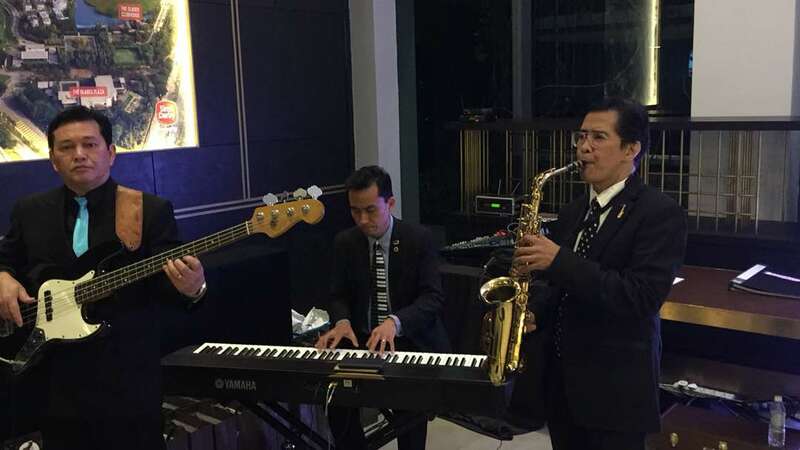 Offering Jazz to your guests is a very elegant way to show them you appreciate them, and more important, that you consider them distinguished and cultured. And you don’t even have to throw a big party for that, as our intimate 3 musician-option is available for those special occasions with your close ones. Playing your favorite jazz songs may not enough for that unique moment, maybe a unique message would be; ask for our optional-especial service of song composing. Ideal for proposing, wedding, celebrating anniversary or birthdays, the gift of an original song will definitely resonate inside the heart of your beloved one. With MDT Music your event will be both entertained and magically set with the most refined sound and all the top-quality staff and equipment! And our singers will display virtuous voices that will melt the hearts of anyone present. We focuses on big band jazz, contemporary and Latin jazz but if you have any favorite pieces for suggesting, we’ll gladly set the repertory. We’re the passionate Jazz Band KL!